Wait... so I *can* read incoming camera info? Scenario: I have 4 cameras in one location and 8 more in a remote location about 4000 km away. All of them are BMD cams of sorts and I want to use one switcher interface to paint them all. Can I use one shield at the origin site to read all of the camera settings for all cameras, sling that down the wire over a private WAN and have a shield on the other end spit out commanding for distribution to my cameras via SDI? I was under the impression this was not possible? Well iT is. Skaarhoj already does this with there sdi tally iris Control box..
Then of course you must be able to extract the ch15/16 talkback. Baz wrote: Then of course you must be able to extract the ch15/16 talkback. We don't need comms, only control. My cameras are in areas where... uh... people can't really be. Bug Benjamin. What you want To do could have been done since the release of the shield and an atmega plus ethernet shield..
Mark Gilbert from Strata had No problem taking over My atem by the internet from Engeland..
We control over our network today. That's not in question. The part in question is input from our current switcher which is something we don't do. Instead we have a second system that we control and send the commanding out. Not desired. So have the shield take SDI input from the ATEM, convert the commands it reads to IP, send it to the remote side and from there we're already OK converting back to commanding on SDI. It's that input side we always seemed to be missing. Am I wrong? Is there any possibility to read camera settings? Am I missing a part of documentation? It could be great expansion for my SDI Remote&Sequencer prototype. Anyone have a recommendation for a power supply to be used with this shield? I thought I could use the same as my Arduino, but it has a different size barrel. I'm not seeing the barrel size anywhere in the manual. Is Ursa Mini Pro compatible with SDI Shield? Offcoarse it is. The protocol Didnt change..
Hello! I am back with technical question. Is Message grouping working OOB with high level commands like sdiCameraControl.writeVarType? I need to change a lot of camera params in short periods of time (perfectly every frame) - will they group automatically in send buffer before sending or should I use low level commands to fill send buffer manually before sending them to camera on next frame? Has anyone used this shield with an Arduino Mega? Since it's communicating through I2C, it should all be the same code. But I seem to be missing something. Hello Anna. The Shield will work with the Mega. You will need to jumper A4 to SDA and A5 to SLL on the Mega. And you need to bend the i2c pins on the shield to prevent they connect to other pins on the mega.. otherwise those ports Will block the i2c. I have no URSA Mini, could you help me with shutter settings? When sending a message in group "Video" no 6 (shutter speed (ordinal)) to Ursa - will it iterate through all 10 shutter settings only? From 360 to 45 degree? We have a BMD Studio Micro camera, that we wanted to control for shading. The otherwise fantastic SKAARHOJ CCU controllers were out of range given our budget. Instead we decided to try our luck with the BMD Shield, combined with the nice little DIY kit from SKAARHOJ (FaderBoard & Joystick add-on for the Shield). Initially, we tried going with the faderboard, which connects directly to the top of the shield. The idea was to switch to different operating modes via the 3 buttons. But - that doesn't work very well when you want to control different parameters with a fixed encoding fader/rotary knob, as we soon discovered! Instead, I decided to try and use the Joystick, combined with a LCD for parameter readout. To get the extra connections required for combining the BMD Shield, SKAARHOJ Joystick and LCD, we had to upgrade to a Arduino Mege (2560). Thanks to a couple of posts on this forum, we managed to sort the wiring properly. If you look at the schematic, you get a crude idea of the required wiring. Please note, that the BMD Shield is connected directly to the top of the Mega! So all wiring runs between Shield, JoystickBoard and LCD. The LCD unit is just the model (LCM1602C) which was supplied in our Arduino Starterkit. It's a 16X2LCD. The code is based on the BMD library's example, "CustomJoystickControl". As a cheap solution to a shading controller for the Micro, this setup performs great. which supports a SKAARHOJ joystick&buttons PCB and controls a SDI-connected BMD-camera. - Pressing the Joystick resets all correction parameters. Nice job, looks good, and it works! hello Jakob i am trying to use 3g-sdi shield with an i2c display (with controller HD44780) but when sketch runs the sdiCameraControl.begin () command; the display will no longer work and even Serial.print commands will not work. You have some solution. thank you. I am thinking about a master/slave configuration for a micro studio 4k camera. I'd like to read camera data (gain, iris, white balance, shutter speed) from one micro studio via the arduino shield and push the values to other micro studios. But as far as I read there is no possibility to read out camera data. Is there a chance to work around? Someone knows if I can use the 3G-SDI Arduino Shield with Arduino Due ? The shield is 5V and the due is 3,3v. So without the propper level schifting you Will blow up your Due processor. hello Jakob, I'm taking inspiration from your project and I am controlling with LCD menus and rotary encoders to vary the parameters of Gain, Gamma, Lift (R G B Y separately) Iris, Zoom, Focus, Hue - Sat, MasterGain and Lift Master. Last edited by Marco Monaldi on Thu Oct 12, 2017 7:30 pm, edited 1 time in total. I'm sorry Xtreemtec. I speak Italian and I do not speak English well. in the last post I forgot to post in English. Marco Monaldi wrote: I'm sorry Xtreemtec. I speak Italian and I do not speak English well. in the last post I forgot to post in English. No problem.. But this is an English only forum. Can anyone help me ? Hi everybody. I was completely new to Arduino and C. I took some online courses and 3 months later I was able to complete version 1 of my controller. I used push buttons to change the parameters I set for different camera control. I want to change everything over to be controller via rotary encoder with push button. I Googled many different codes for rotary encoder with menus, but I can't seem to get them to work. If anybody could help me a small example of how you could send commands to the camera via rotary encoder that would be amazing. Anything to help me is appreciated. Until then I will continue to try and figure it out. Rotary encoders in Arduino are much harder to work with.. They depend on interrupts and you need some coding skills to understand how that works and how not to break your code by using them.. Not for the novice users..
in an old post I asked for the shutter command and thanks to Xtreemtec who provided the documentation I tried to make the control. but my camera does not respond to commands. in the documentation provided on the site (Blackmagic_3G-SDI_Arduino_Shield_Manual.pdf) there is no Shutter Speed ​​and Exposure Mode command. in the doubling (Blackmagic URSA Broadcast Manual.pdf) there are the commands. The 3G sdi shield docu is outdated Protocol v1.1 While we are at a higher version now.. Loose the 0 for absolute.. The index shows a "-" So i think the 0 for Absolute is misplaced.. 1,12,Shutterspeed i think that will be it looking at the manual.. I found an update for the Blackmagic Micro Studio Camera 4K on the site. Can I install the latest version 5.0.1? I do not know if the latest version also includes the functions of 4.7. I will try to install the 4.7 to see if I can remote the Shutter. I'm trying to add the ability to control shutter speed with my Arduino shield I'm using a similar code to one of the projects that can be found in an earlier post (the one with an LCD display). My code displays all the shutter speed values on the LCD display. but for some reason it is not sending the data to the controller. I am pretty confident that I did everything the way I'm supposed to. I even updated My camera to the most recent version but I still have no idea why it's not working. Any help or tips would be greatly appreciated! 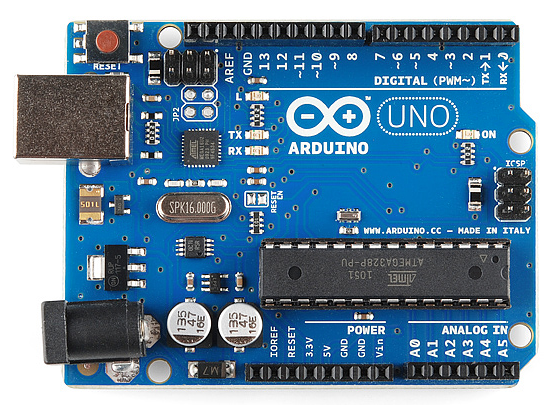 UPDATE Arduino Shield Software Version 1.1 is released. @ Ahmed, Without the full code we can not check the issue. Reading trough the posted bits don't put a red flag up directly.. I still cannot seem to get the shutter speed values to send to the Camera. Everything else in the code works perfectly. I'm trying to control the Recorded Channel 1 and Recorded Channel 2 levels in the audio menu on a URSA Broadcast. From what I can tell it looks like I should be writing the code to change the input levels under the audio parameter (sdiCameraControl.writeCommandFixed16(1, 2, 5, 0, val)). I wrote that code, and it seems to work fine on a Micro Studio 4k, but nothing changes on the URSA. There is no other parameter under the audio section that looks like it would work. I'm wondering if this is something that can be controlled on the URSA. Hopefully somebody can shed some light on this. Thanks in advance. I do not think the audio levels can be controlled remotely on the Ursa Broadcast. The Micro Studio has SBus control of the audio when using the camera mic Ir an external mic, but not lone inputs. The Broadcast audio levels can be controlled from the camera on the Mic Oreamps, but not the line level, which goes to Unity when Line inout is selected. I am trying to use the 3G SDI shield to manually Tally all four quadrants on a Multiview 4. I figured out how to modify the "All Blink" test sketch so that all four tallies blink at the same time. Now I need to figure out how to trigger that same quad tally with the flip of a dry switch. Any help with the code and the wiring would be much appreciated. I posted a code for this in this exact topic. I had read that post but wasn't sure it was what I needed. Does this code refer to each pin number that gets pulled to ground? And if so, are they digital pins or analog? The numbers are the Arduino pin numbers. As labeled on the Arduino. These are digital pins, And pull up in the processor is turned on. So when you make a connection from pin 2 (PGM1) to GND The red square will appear in Window 1.
if you make a connection between pin 7 and ground Green box will appear on window 3. I see i have 1 small add on to this code.